Factory sealed from 2003 on nice card. Buy more and save more! 2019 GreenLight Collectibles. 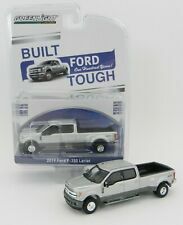 Silver 2019 Ford F350 Lariat Dually Pickup Truck. ANNIVERSARY COLLECTION . Zingers Johny Lightning Fantasy Fins. Condition is New. Picture Shown is the Car You Will Receive. HOT WHEELS 2019 CAR CULTURE SILHOUETTES - SET OF 5 - FPY86-956J. HOT WHEELS 2019 CAR CULTURE. RELEASE J - SILHOUETTES. THE CHEVY MONZA IS THE SHORT CAR IN THIS CASE AND SETS WILL BE HARD TO MAKE. Condition -See picture for condition. 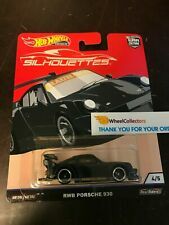 HOT WHEELS 2019 CAR CULTURE SILHOUETTES - RWB PORSCHE 930. RWB Porsche. HOT WHEELS 2019 CAR CULTURE. RELEASE J - SILHOUETTES. Featuring classic cars from iconic DC movies. The case stands alone or can mount on a wall for display. Perfect for storing a prized collection or growing one. Celebrate Hot Wheels 50th Anniversary of inspiring generations of kids with incredible vehicle experiences. 2016 Ford Police Interceptor Utility for New Orleans Louisiana Police. nice little model painted white. Hot Pursuit . Nice little model painted white & black. Hot Pursuit . Wheels spin, but maybe tight and may not roll freely. Perfect for your display case! Never played with or displayed, even with that may have factory paint flaws. This model will make a perfect addition to your collection! 2018 GreenLight Collectibles. 2018 Chevrolet Silverado 3500 HD Duramax Diesel Dually Pickup Truck! Rear bumper hitch installed. 5th Wheel Gooseneck included and can be attached to this or any truck. JOHNNY LIGHTNING. 1:87 HO Scale. Scale is approximate. 1/87 scale diecast vehicle is new on card.card in good condition.made in China. ages 6 and up. Pull back action. Rubber Tires. Great for kids to play with. Real rubber tires. Detailed interior, exterior. Authentic decoration. SILHOUETTES WITH 3 RWB PORSCHE. FYN68 RWB PORSCHE 930 4BL 3. Hot Wheels 1:64 Car Culture 2018. FYN67 PORSCHE 935 2. SEALED CASE OF 10. Alaska and. 1/24 scale diecast model of KITT from Knight Rider. Hood, Passenger and Driver doors open. No Box, sold loose in counter display. ADULT COLLECTIBLE MODEL - Not intended for children under 14. Light Above Bumper turns on when front driver door opens. You are bidding on a Vintage ERTL Diecast Hardees #90 Road Runner w/Truck & Trailer, Unopened. Shipping will be free. Good luck to all and happy bidding. 1 of 3024 Worldwide! This model will make a perfect addition to your collection! Here is your chance to pick it up. Perfect for that car fanatic in your family. 2019 Tarmac Works Exclusive: 1970's DATSUN 510 ADVAN Yokohama Racing Livery. Condition is Used. F RE E SH IP IN G.
Nice little model painted white & blue. Hot Pursuit . 1 of only 1008 Worldwide! This model will make a perfect addition to your collection! Here is your chance to pick it up. Perfect for that car fanatic in your family. LBE Exclusive: 1988 FORD MUSTANG LX 5.0 Notchback. Barris Koach in Black. JOHNNY LIGHTNING. Silver Screen Machines. 1/64 scale diecast vehicle is new on card.card in good condition.made in China. ages 6 and up. 50 Hot Wheels Individual Car Cases. Condition - See picture for condition. Item should be in hand by mid to late July. Hobby64: White PORSCHE 930 RWB Rauh-Welt Begriff Need for Speed EA Sports. Item #T64-015-WB. Once you receive your model, you will hear a 'rattling' sound inside if you shake it slightly, that will be your certificate located underneath the base and inside the box! (1) 1977 Dodge Monaco "Texas Highway Patrol". 3) 2016 Ford Police Interceptor Utility "New Orleans, Louisiana Police". 4) 2008 Ford Crown Victoria Police Interceptor "Oakland, California Police". Competitive Pricing and Unrivaled Selection We are the number one direct distributor of diecast model cars in the USA, so we are able to provide very competitive pricing. I have a ton of these on order for those that dont have the chance to buy. This is for a 2017 Hot Wheels Collectors Edition '56 Chevy Convertible 1:64th Scale Hot WheelsCar. 2018 GreenLight Collectibles. 2018 Chevrolet Silverado 3500 HD Duramax Diesel Dually Flatbed Truck! mc2-toys EXCLUSIVE RELEASE . Service Body. Fully detailed doors. Diamond plate deck. Rear gate & bumper. Protector Pack * Plastic Diecast Hot Wheels & Matchbox add some to your order! 2019 Hot Wheels MONTH Zamac NISSAN SKYLINE FORD MUSTANG LAND ROVER "YOU PICK"
Hot Wheels Tesla Roadster With Starman HW Space Diecast Car Includes Protector! Young children and adults alike have sat around the family room and played with toy model cars year after year because of their imaginative play and ease to create another world for those cars. Model cars have been produced for almost as long as real automobiles. In search of replicas to mimic cars children yearned to have or ones sought after as a prized possession, model cars have stood the test of time. Built to scale in great detail out of materials like wood, resin, tin, steel, cast iron, and plastic, collectible model cars run the gamut from the commonplace to the exotic. Tin model cars were mostly made in Germany and popular in the early 1900s. These cars were either just push-powered by young children, but others were powered by tiny clockwork or wind-up systems. These were larger than the model cars we think of today and often built at larger scales. Some of the most notable large models built were the 1/8 and 1/11 promotional models built by the French car company Citroen in the 1920s. Cast iron cars became popular before World War I, but gave way to prestressed steel models, which were popularized by the American company Buddy L Toys. These cars consisted of separate pieces fastened together, as die-casting had not yet been perfected. 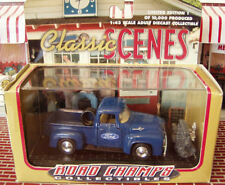 After World War II, diecast companies like Matchbox made a fortune with their smaller, more-affordable models. In the 1960s, Hot Wheels greatly expanded the collectible model cars market by producing different models every year and special limited-edition runs. 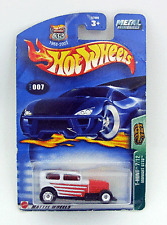 Today, Hot Wheels produces a variety of cars in all colors and various vehicles. Diecast model cars are still hugely popular today, for example NASCAR limited editions. Most diecast model cars are 1/43 scale, although they can be found in both larger and smaller sizes. The major difference between model cars and toy cars is that model cars are scaled and detailed meticulously, whereas pure toy cars tend to be improperly proportioned and lack attention to detail. Highly detailed models have been made for almost every type of vehicle, including buses, tractors and trucks. In the late 1950s and '60s, plastic models called promotionals were produced, representing cars by General Motors, Ford, Chrysler, and American Motors. Promotionals were given away with the purchase of a car at a dealership or could be bought individually. Every year of Ford and Chevy was made, and new plastic models were produced as new features were added to the real cars.